The all-Trump ticket was first floated Wednesday by Sen. Bob Corker, a man who, to be fair, would say anything at this point to escape the clutches of the Trump campaign. 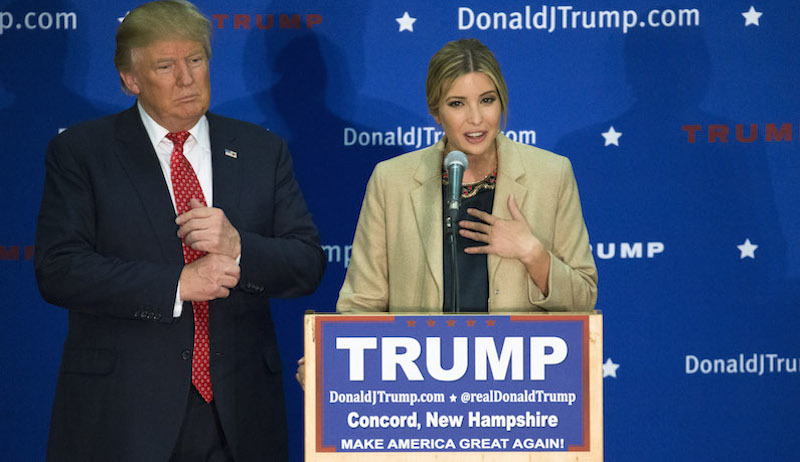 “His best running mate, by the way, would be Ivanka. I know that wouldn’t pass muster, probably. But I don’t know that I’ve met a more composed, brilliant, beautiful-in-every-way person,” Corker said. But whether Corker really believes that or was just dangling the Ivanka meat to distract Katrina Pierson as he fled the building, the Trump campaign has latched on to the idea. In typical Trump family member fashion, Ivanka’s brother, Eric, noted first that he has a hot sister. The Jews, several of whom Donald Trump loves, have a term for this: Beshert.